lakes through verdant countryside and snow-covered peaks via dramatic mountain ascents. 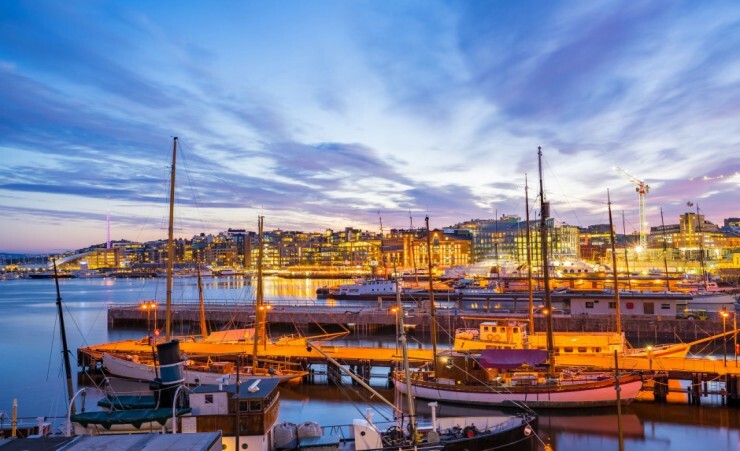 Explore the nation's cultural heritage in the quaint historic quarter of Bryggen and discover Oslo, a sophisticated city surrounded by natural beauty. 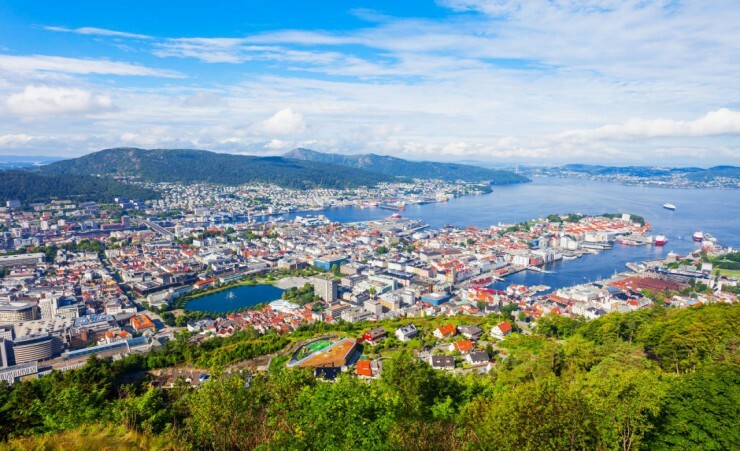 Depart the UK for your flight to Bergen, where you will be met on arrival and transferred to your hotel. 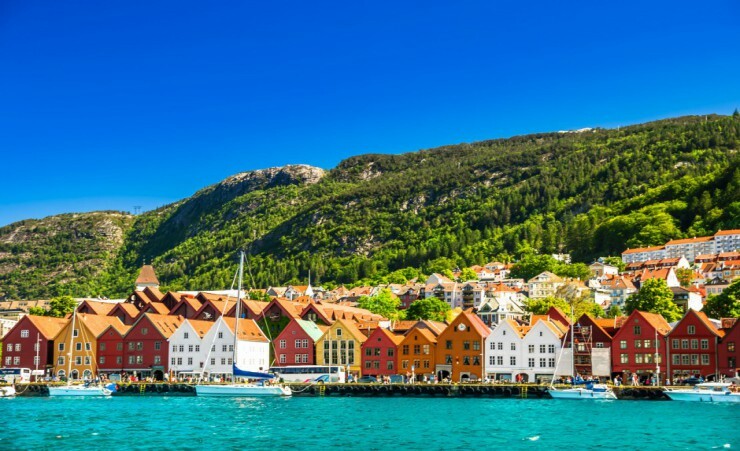 Surrounded by imposing hills and peppered with centuries-old architecture, begin a walking tour of Bergen, a charming town, often referred to as the 'Gateway to the Fjords of Norway', first stopping to explore the popular attraction of Bryggen in the city's historic quarter. 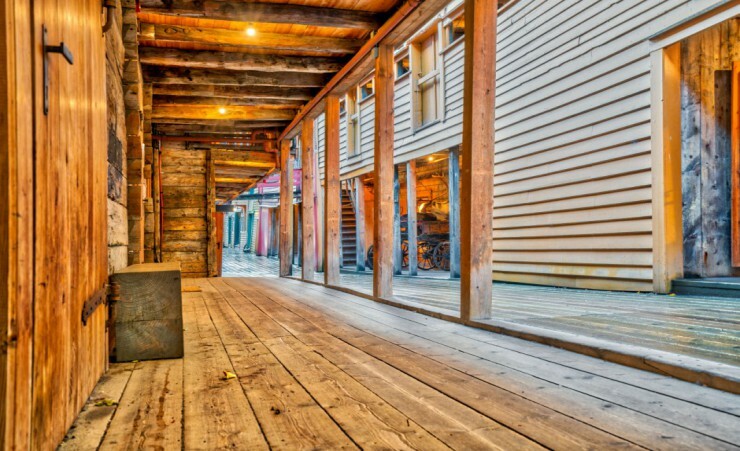 Serving as a reminder of its Hanseatic legacy, wander past quaint wooden buildings that line the enchanting waterfront, housing plentiful art studios, cafes and restaurants. Continue towards the Floibanen Funicular, soaring 320 metres above sea level, to witness breath-taking vistas of fjords from the summit of Mount Floyen, before enjoying an afternoon at leisure. 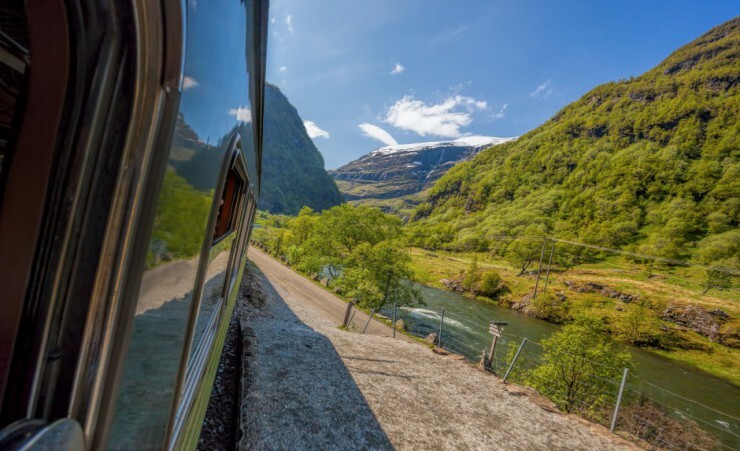 Embark on two spellbinding rail journeys across Norway's fjordland region, firstly twisting along the Bergen Railway, Europe's highest altitude line. 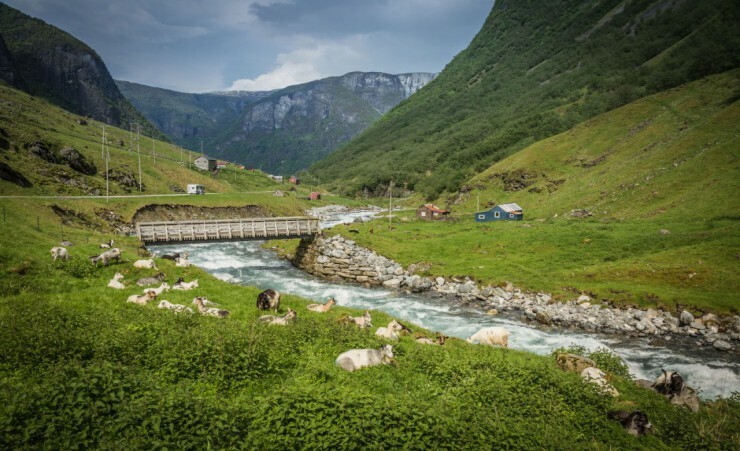 Pass the sleepy village of Dale and the adventure capital, Voss on an arresting ascent from deep valleys to snow-capped mountain peaks and change train lines at Myrdal's isolated mountainside station. Boarding the Flam line, a railway renowned for its extremely steep gradient, delight in impeccable panoramic views of cascading waterfalls and thriving forestland, before arriving in the small village of Flam, located at the head of Aurlandsfjord - an immense 17km branch of the world's second longest fjord, Sognefjord. 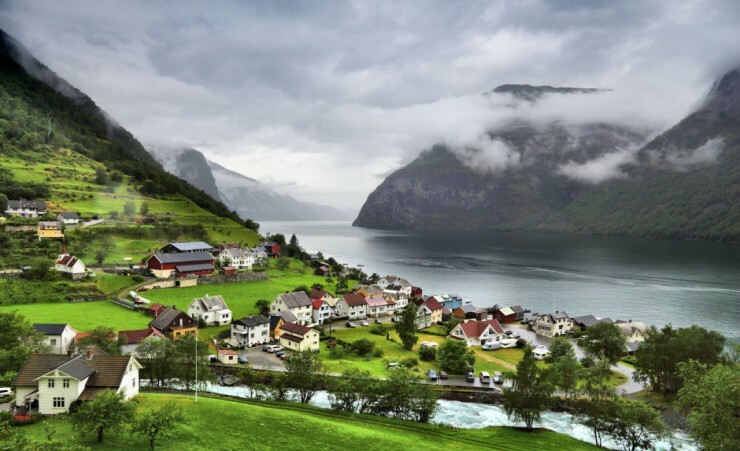 Cruise the still waters of Norway's most picturesque fjord, Aurlandsfjord, concealed within the shadows of neighbouring mountaintops, and glide through this scenic route towards the vibrant parish of Undredal. Pause to admire the colourful houses perched upon the waterside's edge, which bathe in a golden glow as the sun emerges through a narrow gap between the grandiose mountains. Considered to be the narrowest and most dramatic passage inEurope, gently sail through Naeroyfjord to the popular village of Gudvangen and return by coach to Flam for the rest of the day at leisure, perhaps visiting the railway museum to gain a fascinating insight into the engineering of its impressive track. 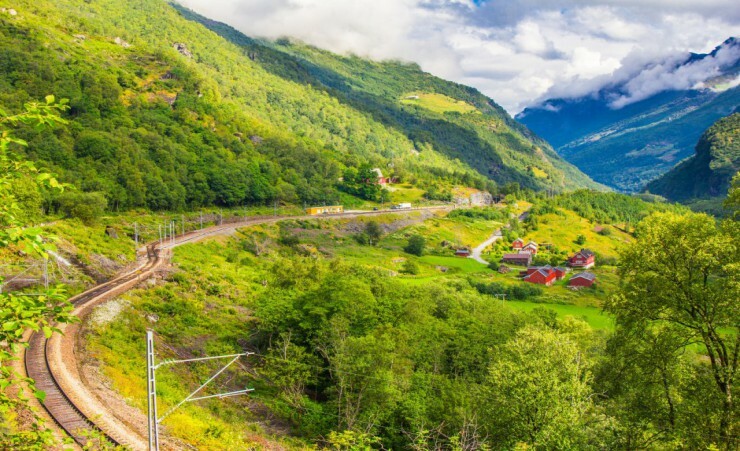 Experience Flam railway's stunning backdrop for a second time on a tranquil return journey to Mydral and leave behind the uninterrupted views of untouched landscapes along Bergen Railway's enchanting route, on the approach to Norway's cosmopolitan capital - Oslo, a booming urban metropolis which enjoys a revitalising intimacy with nature. Upon arrival, walk to tonight's accommodation. 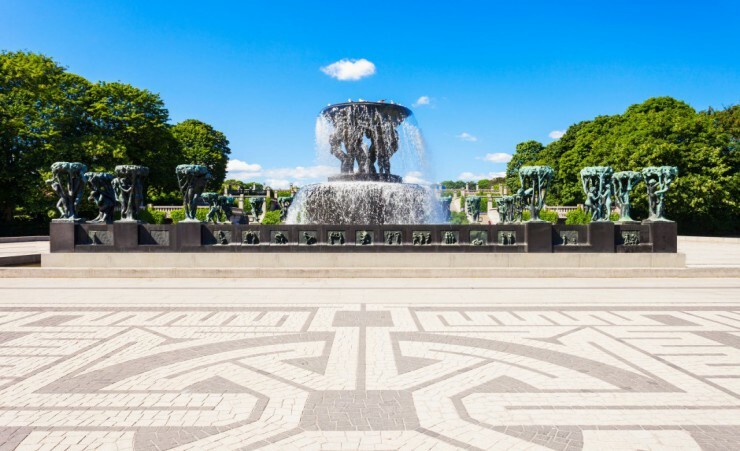 Begin today's sightseeing tour at Oslo's revolutionary Opera house, distinguished by its accessible roof which offers all-encompassing views of the cityscape. 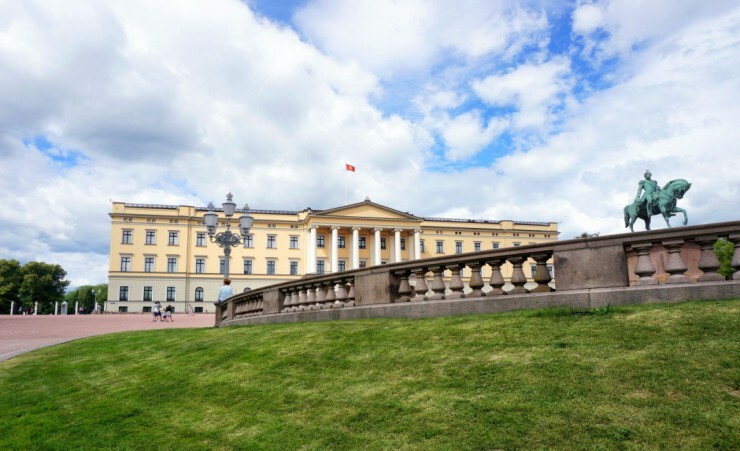 Next, visit the official residence of Norway's Monarch - the Royal Palace, before heading to Oslo's distinctive City Hall and later the harmonious Vigeland Sculpture Park to discover over 200 unique sculptures, created by the same artist. With an afternoon at leisure, why not learn about the country's culture and history at the open-air Folk Museum or witness the world's best-preserved Viking ships in Bygdoy's numerous waterfront museums. Re-join your group this evening for a farewell dinner. Breakfast is always western style and served in the hotel each morning. Dinner (when included) will be taken in local restaurants or at the hotel. 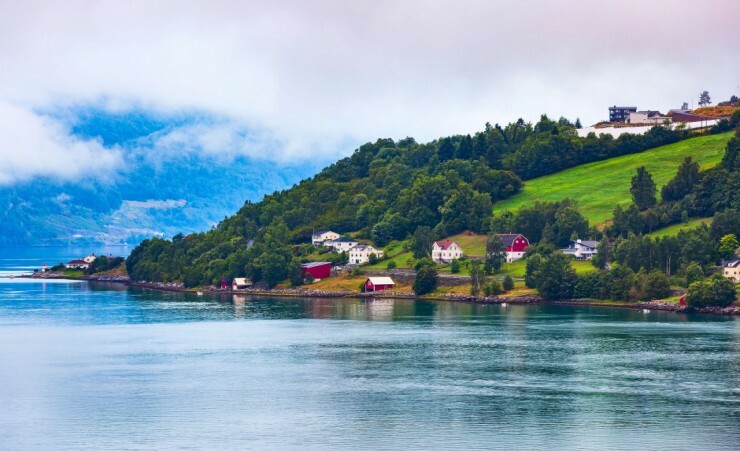 UK and European passport holders do not require a VISA to enter Norway. Further advice should be sought from the applicable tourist authority for other nationalities and for general queries. We strongly advise you check your destinations' Tourist Board or Embassy for the most up-to-date guidelines regarding passport validity. 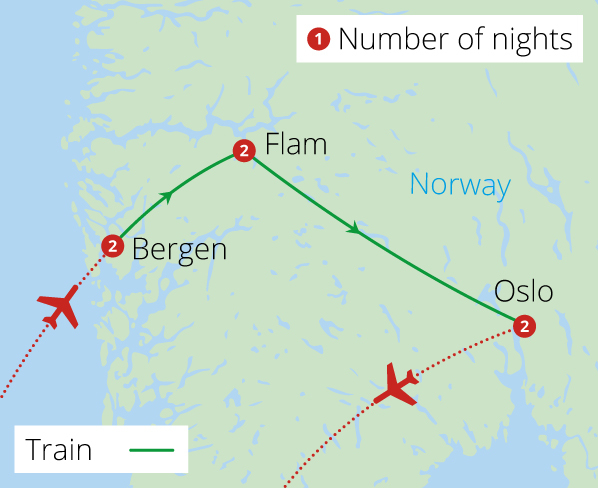 Your initial flight is to Bergen Airport with Norwegian Airlines departing from London Gatwick South Terminal. Each passenger is entitled to 20KG of hold luggage plus 1 item of hand luggage not exceeding (Max combined weight for both hand luggage 10kg - 55cm/40cm/ 23cm) in size and 1 personal item such as a handbag, briefcase or laptop case (25x33x20cm). Weight restrictions will be finalized on E-ticket receipt. Should you wish to take additional luggage you will need to pay extra at check - in. Check-In should be at least 3 hours before departure. If you wish to arrange Airport car parking or accommodation at preferential rates, we recommend you book this in advance with Holiday Extras on 0871 360 2000, quoting HX313. IMPORTANT: Please note that final flight details will be confirmed on your e-ticket and final documentation which will be sent to you approximately 10 days before departure. This tour is accessible to most people with a good level of fitness and normal mobility. It involves climbing of steep stairs and getting on and off coaches. This tour is not suitable for anyone with walking difficulties. The minimum number of travellers in your group will be 15, and the maximum will be 40. If in the unlikely event there are less than 15 people booked on your tour date, we will endeavour to reduce any disruption to your holiday and try to operate your tour with lower passenger numbers. If we are not able to operate your departure date, then you may be asked to change to a different date and a full refund will be made available to you should this alternative not be suitable. This is a fully escorted tour meaning that you will be met by a local guide in each of the cities that you visit, ensuring, that you have first-hand knowledge, at all times. The currency in Norway is the Norwegian Krone (NOK). Visa and Mastercard, credit and debit cards are widely accepted in Norway, also in taxis and convenience stores. Cash machines are available in the major centres, but are not as prolific, as in other countries. Should you require cash-in-hand, it is recommended to withdraw a small amount of money in local currency, when in Norway. Please ask your guide for the most convenient place to withdraw money. You will need to take money with you to cover any personal purchases such as souvenirs, laundry, any meals not included in the itinerary as well as drinks and any additional snacks; Approximately £400 - £500 per person will be sufficient for the duration of the tour. It is a good idea to try and maintain a supply of small notes and change in the local currency for tipping or small purchases. Tipping is at your discretion; however, we would recommend approximately £2-£3 per day. Tips are accepted in the local currency, however it is asked that if you do not tip in the local currency that you only pay with notes, as coins cannot be exchanged. The order of events and sightseeing may vary according to local conditions or for operational purposes. The schedules of the domestic airlines in country are subject to frequent changes. For this reason, we have indicated approximate times only. Your local guide will inform you of any schedule changes as they are informed of them. Some road construction &/or weather conditions may lengthen the driving times. Our intention is to adhere to the day-to-day itinerary as printed; however, order of events and sightseeing may vary according to local conditions. Travel plug adapter - the electricity supply is 230V. The power sockets are of type F and C. You will need an adapter.